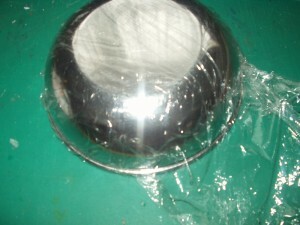 Cover a small bowl with clingfilm then spray lightly with polish. 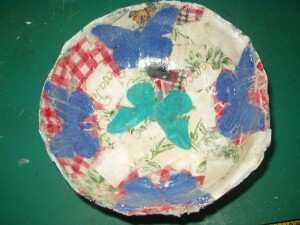 Chop your fabric into postage stamp sized pieces and apply the first layer without glue. Arrange neatly as this will be the inside of your bowl. 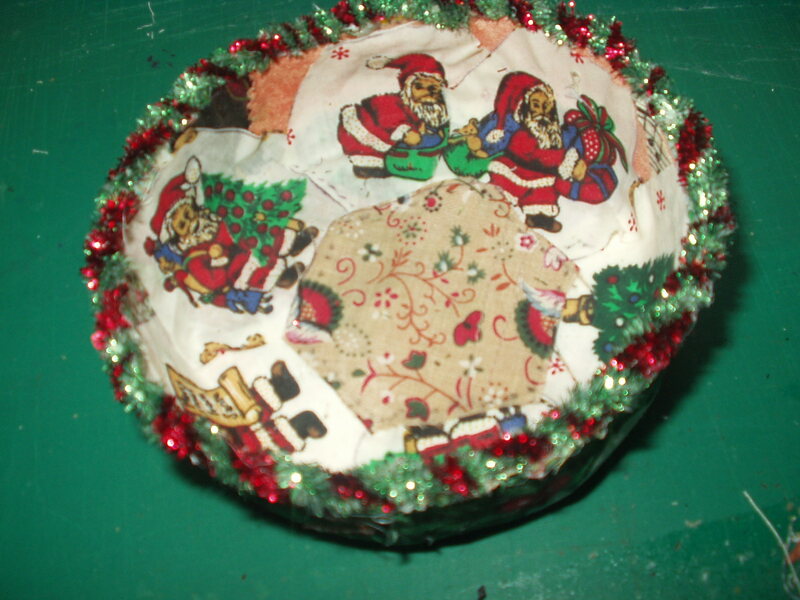 Cover bowl with a thin layer of PVA glue and stick on more pieces of fabric, repeat 3-4 times then leave to dry. When dry remove from the mold and check that it is sturdy enough to use, if not add an extra layer or two of fabric squares. Neatly trim the top edge and add binding, tinsel, fringing or whatever you have.